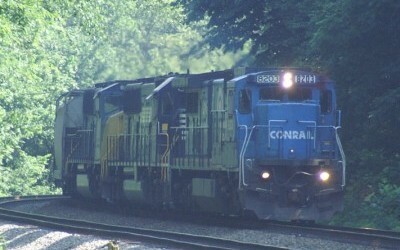 A Norfolk Southern coal train runs by Grand Junction Station on the NS main. 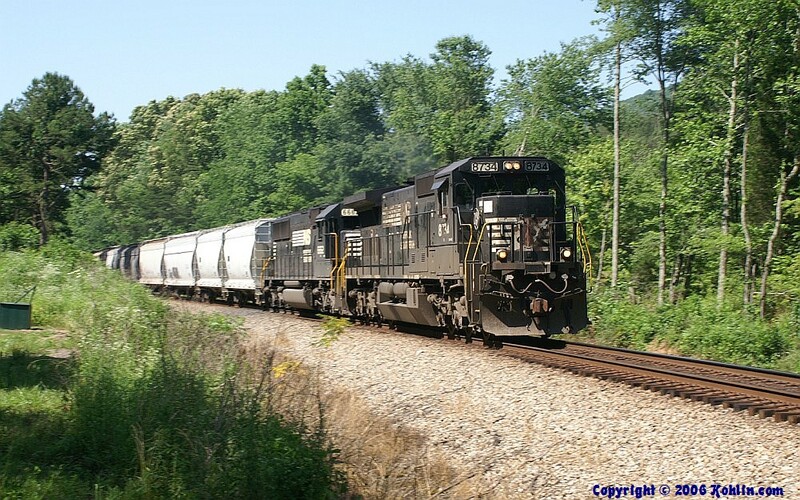 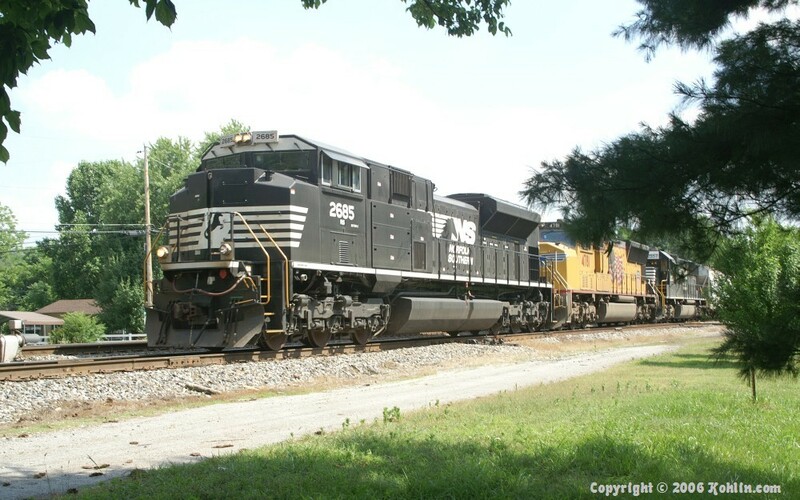 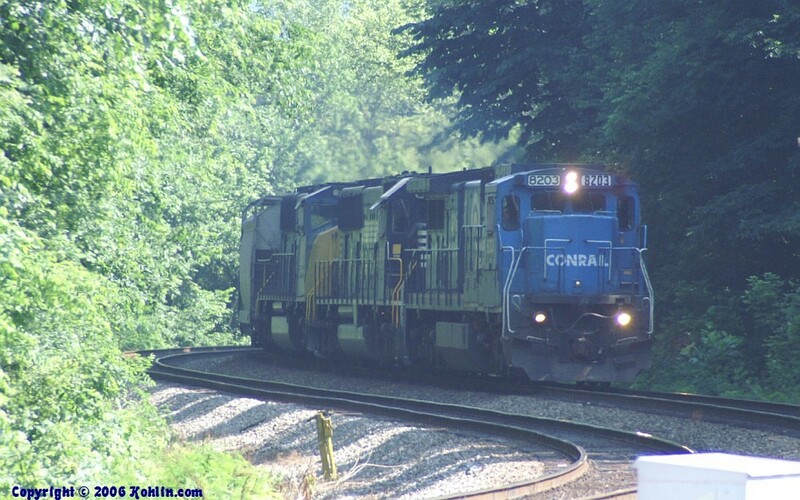 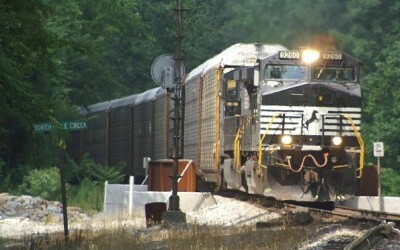 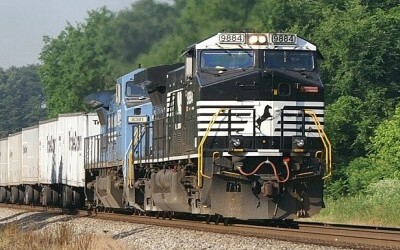 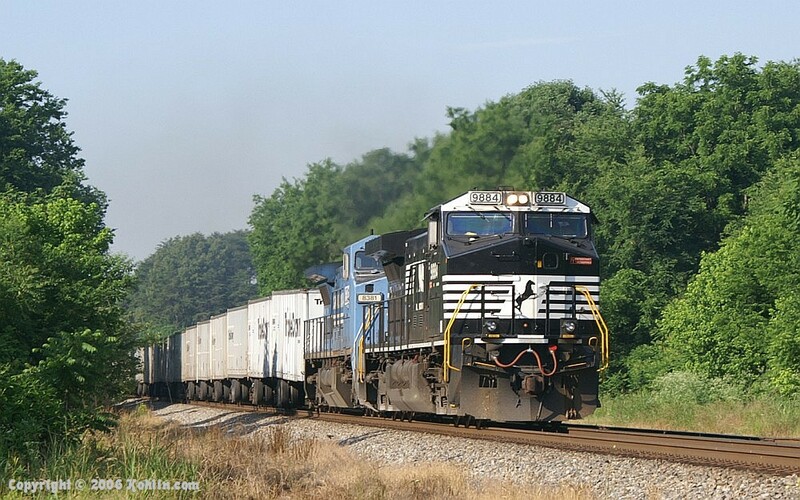 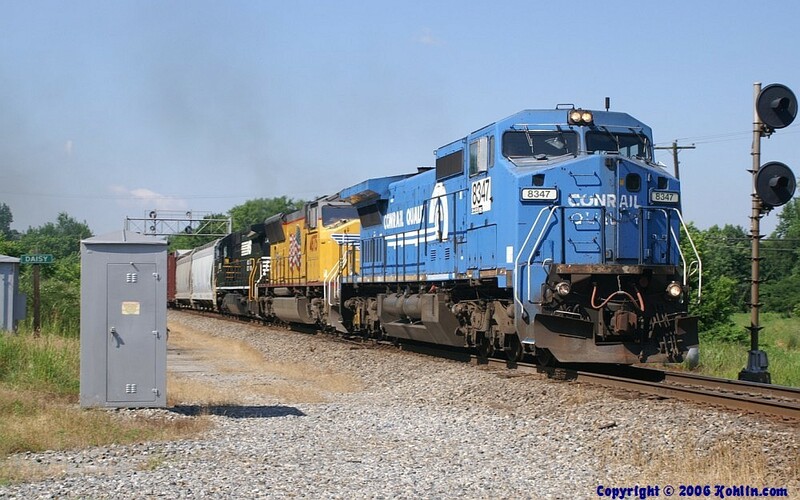 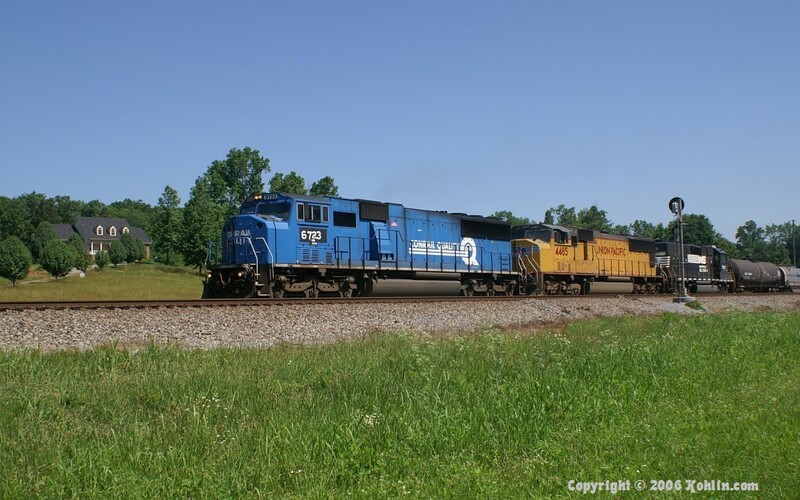 A north-bound Triple-Crown unit train roars through Sale Creek, Tennessee behind GE power. 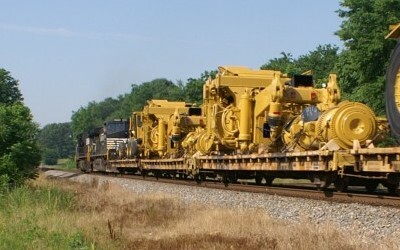 A train full of equipment from Caterpillar roars past the signal at North Sale Creek. 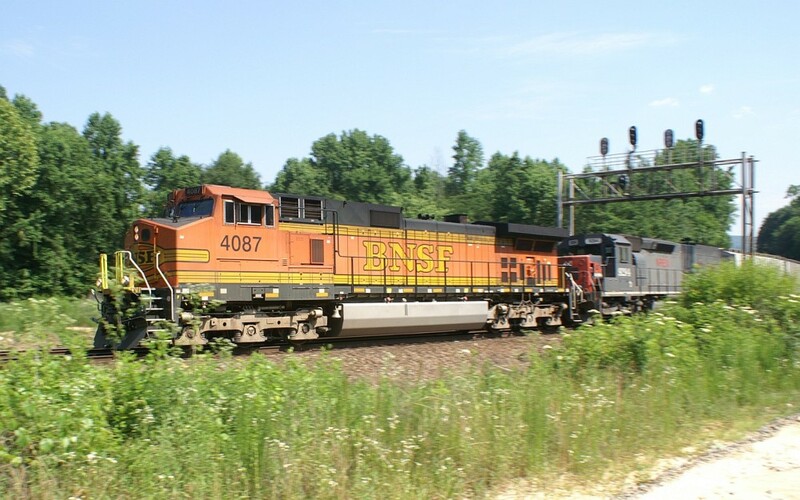 A north-bound mixed freight holds short of the Thrasher Pike grade crossing, waiting on a south-bound. 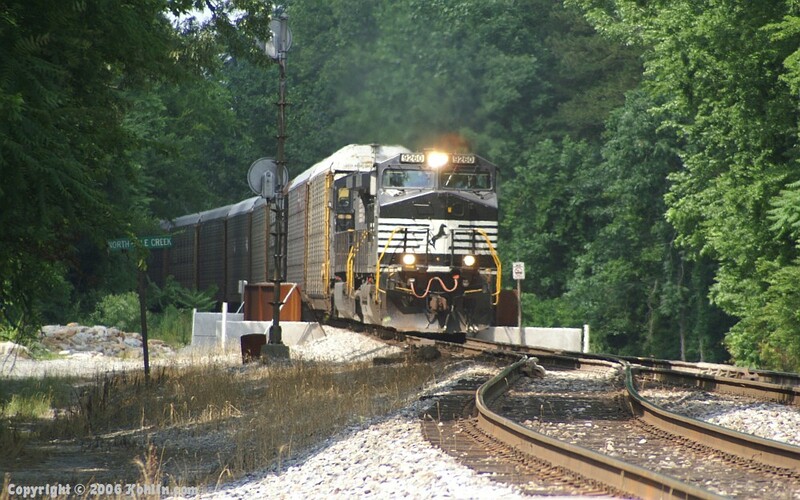 The opposing south-bound moves across the Thrasher Pike grade crossing. 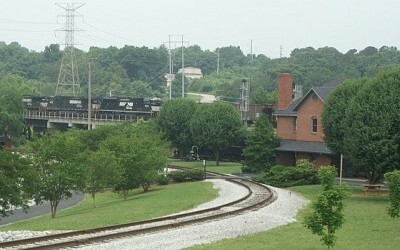 A north-bound train moving onto the single track main at north Daisy. 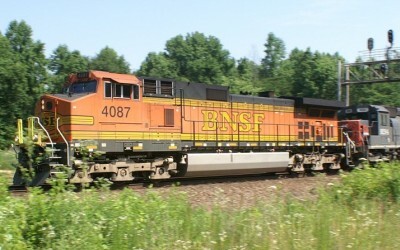 A standard-cab GE leads an EMD on this train, north-bound along Back Valley Road. 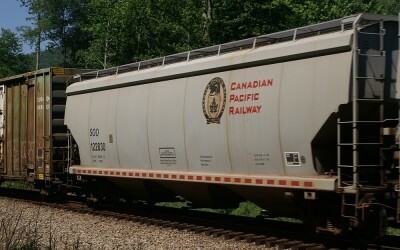 Several of these Canadian Pacific hoppers, with Soo Line reporting marks, were in this train. 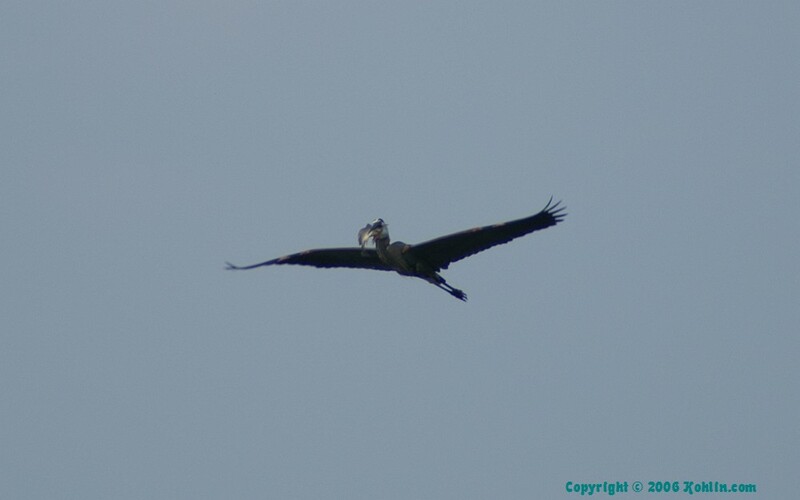 They apparently are not uncommon in this part of the world. 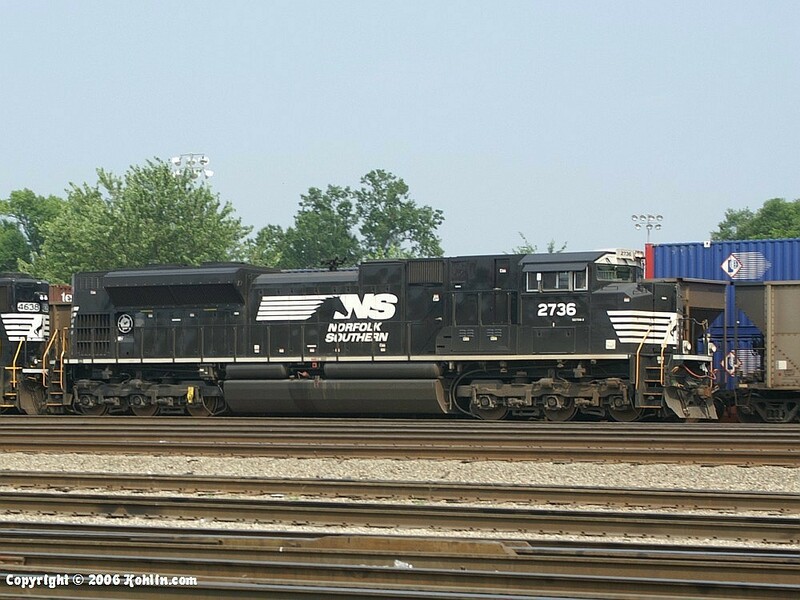 NS 6723 lifts his train out of the siding at South Sale Creek. 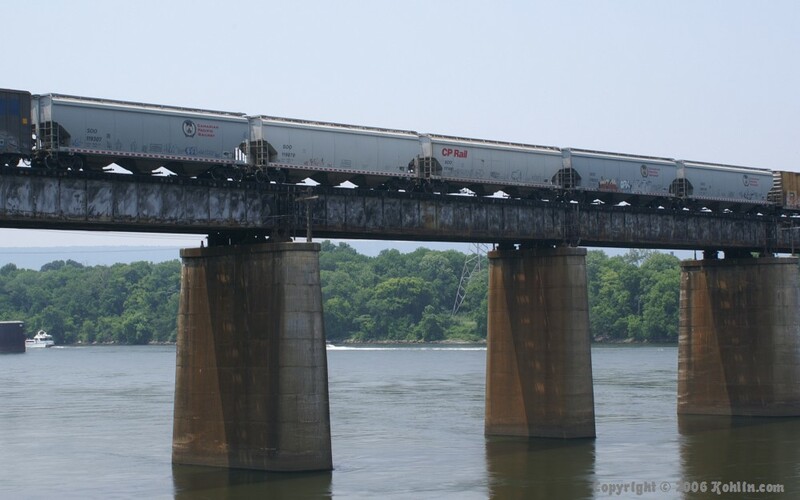 If this house had been on the market when I was looking, it would have been mine! 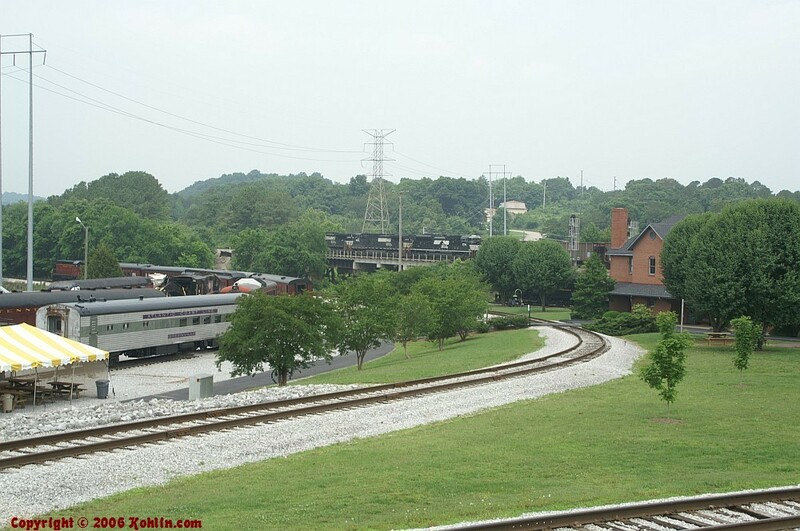 It's the perfect Railfan Villa. 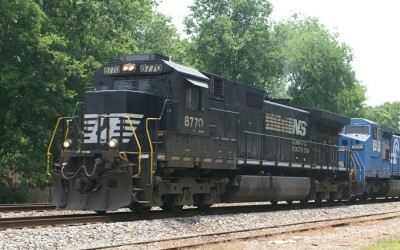 New EMD power, this SD70M2 speeds his train north-bound at North Sale Creek. 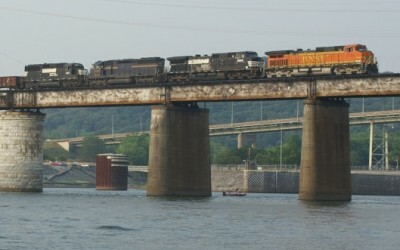 Telephoto shot of southbound coming over the bridge at North Sale Creek. 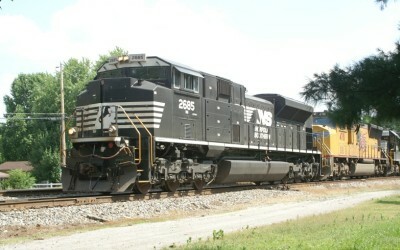 North-bound mixed freight in the siding at North Sale Creek. 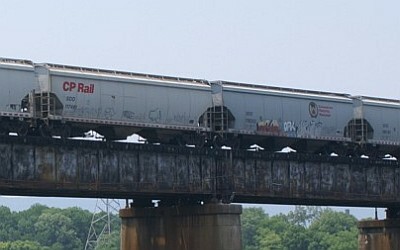 A cut of Soo Line grain hoppers strung across Tenbridge. 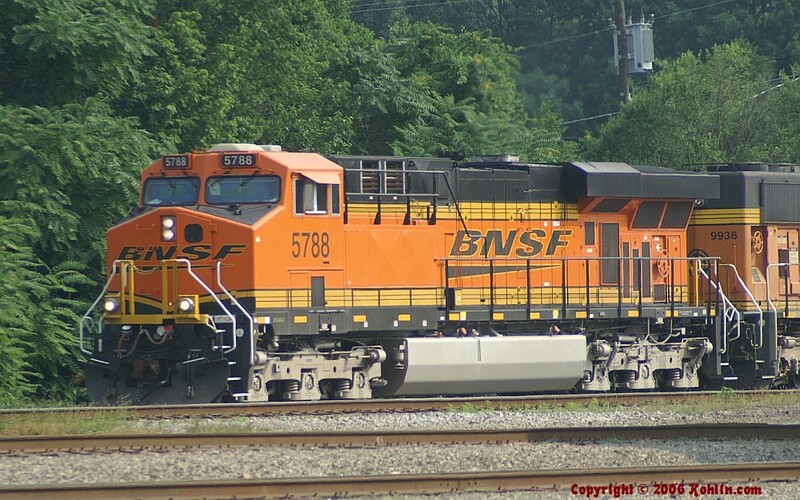 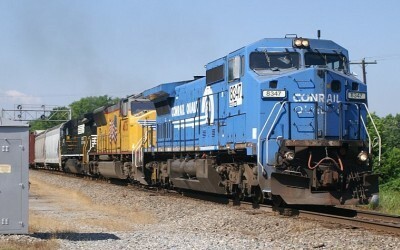 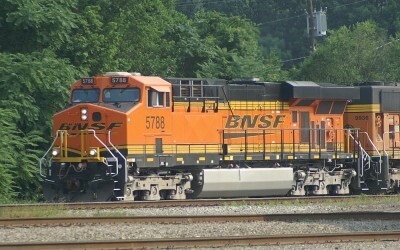 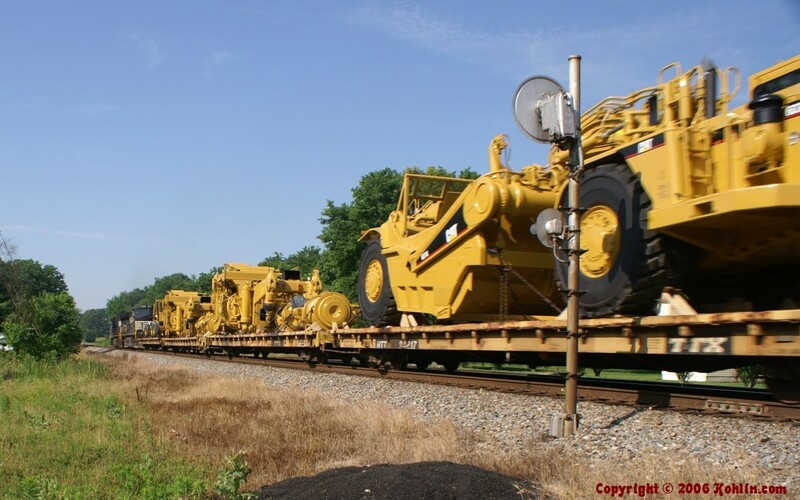 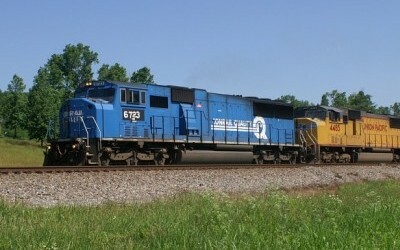 A new SD70M-2 leads an Operation Lifesaver-painted Geep in DeButts Yard. 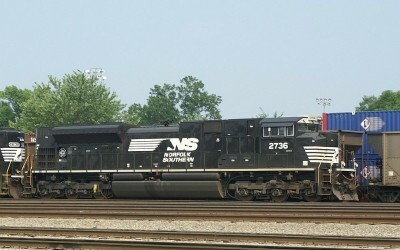 Closer view of the 2736. 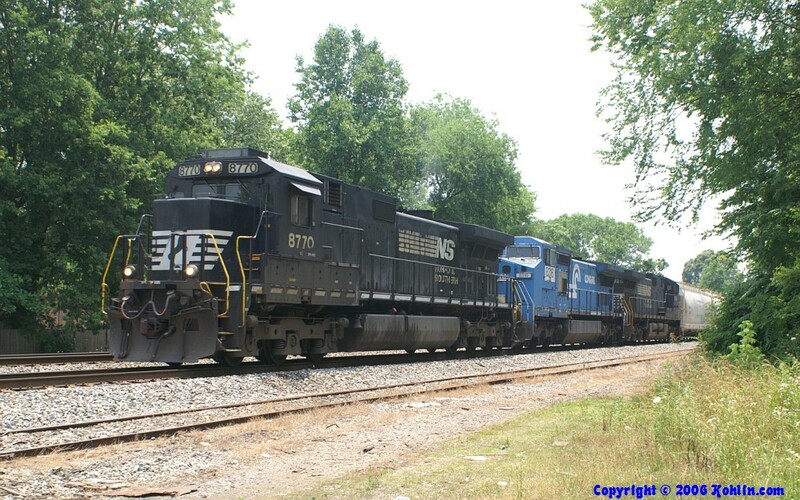 Burlington power on a north-bound coal train in DeButts Yard. 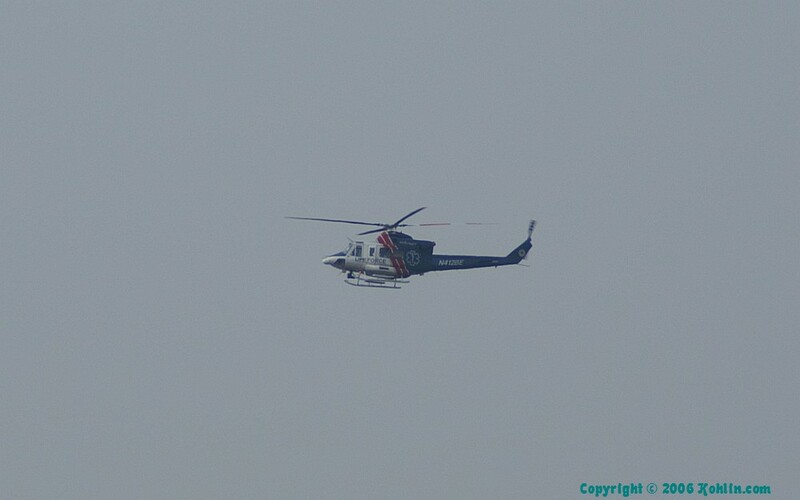 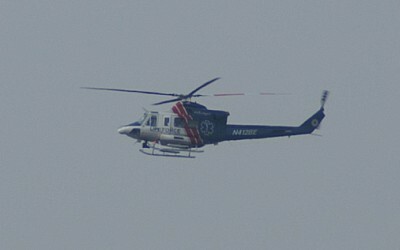 A Life Flight arriving at Erlanger Hospital in Chattanooga. 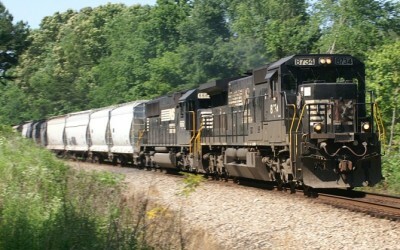 Burlington power leading a south-bound train across Tenbridge. 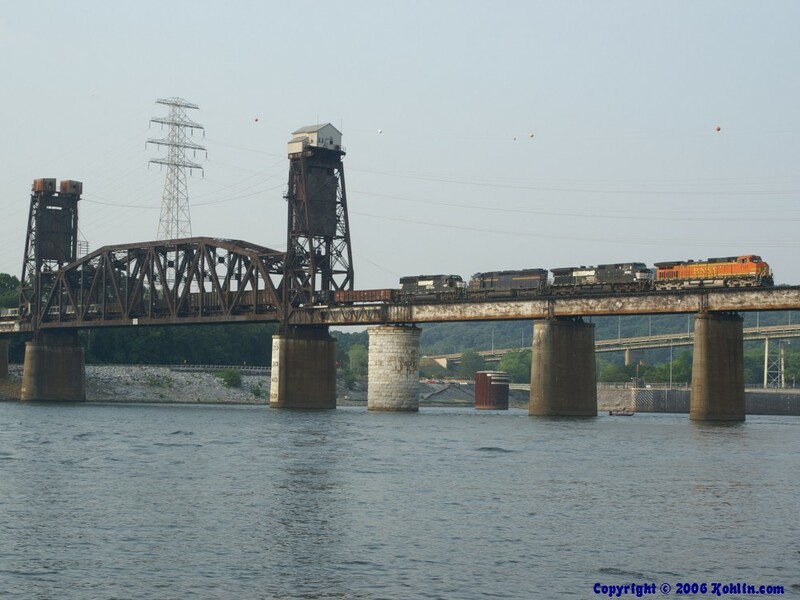 Many cranes line the shores of the Tennessee River near Tenbridge. 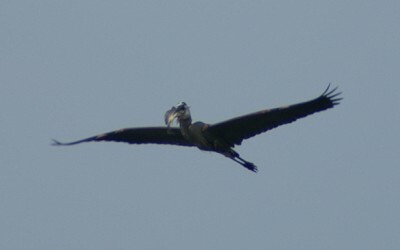 This one is a successful fisher. 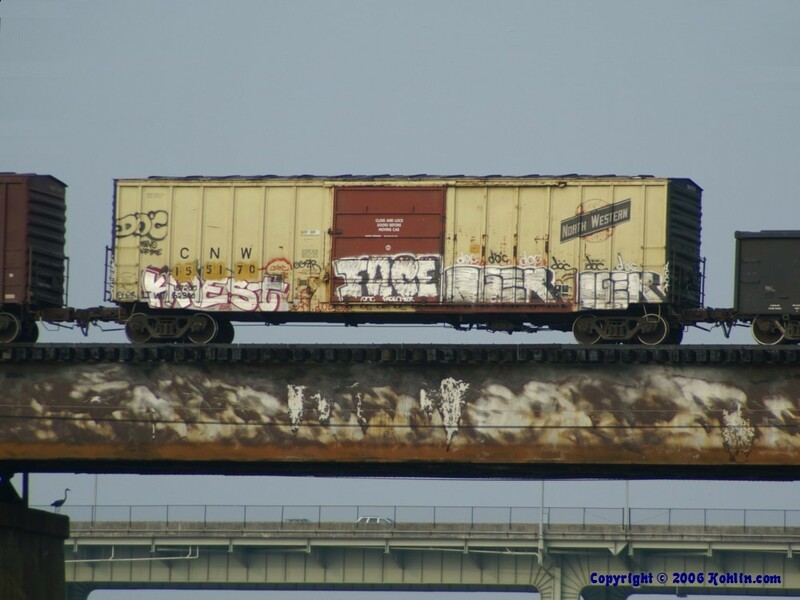 Chicago & NorthWestern boxcar in original paint, posed on Tenbridge.